Strutmasters 2000-2002 Lincoln LS 4-Wheel Air Suspension Conversion Kit is the perfect solution to your air suspension problems. Designed to be very affordable, you can convert your air suspension to use standard struts and coil springs for less than the price of replacing one air strut. 2000-2002 Lincoln LS 4 Wheel Air Suspension Conversion Kit (FD14F) is the perfect solution to your air suspension problems. Designed to be very affordable, you can convert your air suspension to use standard. 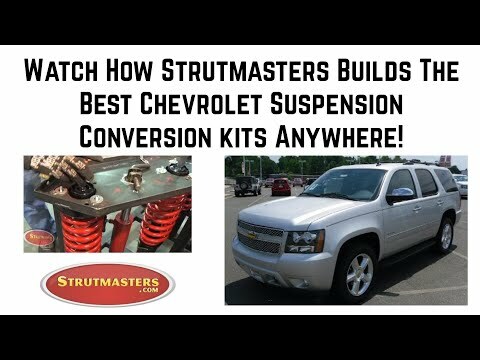 Strutmasters conversion kit is created as a direct replacement for a faulty air suspension, with no modifiers needed. The parts are quality and we stand behind our products so much, they come with a lifetime limited warranty. 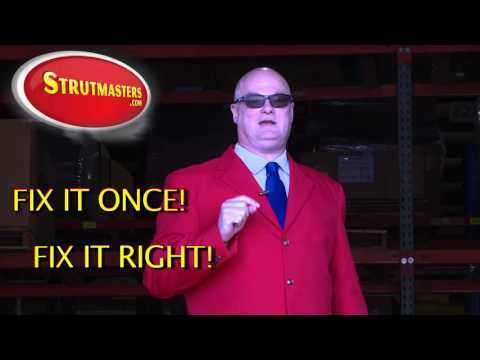 Don√¢¬Ä¬ôt mess with the dealer- it can be installed by your mechanic or by yourself. Detailed instructions, online installation videos, and tech support from ASE certified experts all help guide a smooth repair. This kit, made in America, comes complete with four struts assemblies with Eibach coil springs. Early detection of a failed or leaking air suspension system on the LS is the key to avoiding total failure. Visibly sagging or inflated sides are a major red flag. Check the ride height- is it normal? Did you suddenly notice a height variance from one side to the other? Your suspension might be leaking if the air compressor is working too hard (it will be loud and noisy). Often, a warning light is lit up on the instrument panel. A repair is necessary in any of these cases. 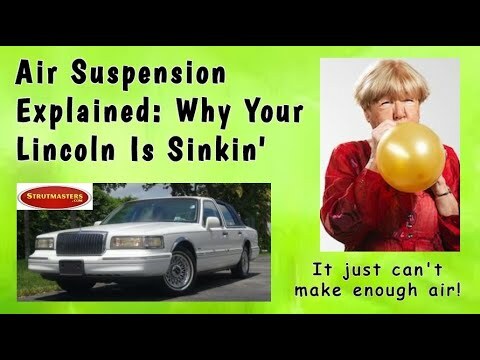 The longer the LS owner waits to repair a failed suspension, the more expensive it is. And they won√¢¬Ä¬ôt come pre-assembled, so that will cost even more in labor for the mechanic to assemble prior to installation! 2000-2002 Lincoln LS Coil-over Struts (x4) - a type of shock absorber; has metal tubing filled with gas-charged hydraulic fluid that is connected to the wheel of a vehicle in order to reduce the effects of vertical travel on a rough surface which controls the bounciness, and therefore comfort, of a vehicle. Coil springs are seated over the strut body and control the vehicles height.